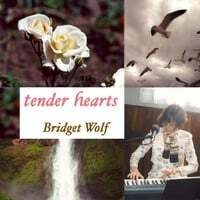 Click on green link above or on cover art below to listen to clips from songs on Tender Hearts CD at CD Baby web site. Music flows from her fingertips in a magical dance that warms and soothes the heart and soul. Relaxing instrumental music with an Italian grand piano sound on eight of the nine tracks on this beautiful album. "Hope" was a semi-finalist in the UK Songwriting Contest 2011. "Teardrops" was a borderline semi-finalist in the UK Songwriting Contest 2012. "For Celeste" was a borderline semi-finalist in the UK Contest 2013. "Life is Precious" and "Let's Make the Difference" were semi-finalists, in the top 23% of 6,000 songs from around the world, in the UK Songwriting Contest 2009 in Great Britain. "Dive Deep" was a semi-finalist in the UK Songwriting Contest 2010. "Sleeping Giant" was a Commended Entry (honorable mention) in the UK Songwriting Contest 2014. 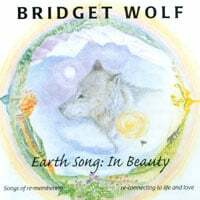 "Earth Song: In Beauty" is for sale at CD Baby. Click on above link (CD Baby in green text) or click on the cover art (below) to get to the CD Baby page. This album is available as an actual CD, as a cassette AND as a digital download of entire CD or select your favorite tracks. 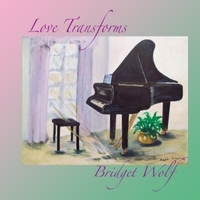 Check out Bridget's brilliant music--great for relaxation, meditation, and pure, gentle enjoyment. "Song of the Rising Sun" is a mystical instrumental that's getting a lot of internet play!!! You won't want to miss this rising Star's music ! "I'll Never Forget You" was a finalist in the top 2% of 6,000 songs from around the world! Judges included one of Paul McCartney's music producers! "Oceans and Trees" was a semi-finalist and "Autumn" was a commended entry (honorable mention) in the instrumental category of the UK Songwriting Contest 2010.